One of my clients once described the client discovery process we use at Kayak as being like therapy, except longer and with more crying. :) He was obviously joking, but I will freely admit that we spend more time getting to know our clients than they expect. Most think they’ll tell us about their business and perhaps a couple of competitors and then we'll move on to do our thing. However, that's never true. We always look to dig a little bit deeper to get to know them a lot better. For a long time I pursued this philosophy on instinct. Something inside of me told me that the better we understood the businesses we work with, the challenges they face, and the clients they love, the easier it would be to find the right approach. I was recently given a new perspective on why this matters so much. 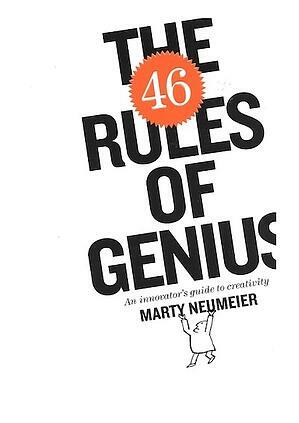 It happened when I was gifted up a copy of The 46 Rules of Genius by Marty Neumeier. In today’s post I want to share a couple of insights I picked up from his work, because it really got me thinking. What constraints are we dealing with? Why? Should we solve a bigger problem instead? If we succeed, what will be improved? Who says? Who cares? Who knows? His point is that to understand complex problems, we have to be smart enough to study the relationships between the various parts, the way they impact each other, and what they mean for the whole. We can’t solve big problems without respecting context or being aware of second or even third-level implications. I love this line of reasoning. For one thing, it validates my approach to discovery and makes me feel like I’m part of the “genius” group that examines all the angles. More importantly, though, it sheds some light on what I have felt intuitively and seen with my own eyes for many years. When we take the time to learn more, we gain a sense of understanding that’s bigger than any single detail. To put it another way, you sometimes have to ask a lot of questions to learn what the real questions are. And, you can’t get the answers you need until you know which real questions are the right ones to ask. That takes effort, and patience. It has been my experience that web and marketing firms don’t ask enough questions. Even more sadly, they don’t always listen to the answers they are given. I suspect this occurs in a lot of different fields. Doctors see a lot of people with the same ailments and symptoms every day. Mechanics know what to look for when an engine starts rattling. Human nature likes to fill in the blanks for us. So, when a new client comes in and says their website isn’t generating leads, it’s only natural to start thinking in terms of improving their SEO, running some Facebook ads. or starting a social media campaign. These solutions might help some of the time, but they may or may not be appropriate for the budget, timeframe, and competitive environment the business owner is facing. Context always matters. To use a different metaphor, imagine for a moment that you are in charge of constructing a house. All houses have things like walls, windows, and doors. And yet, you wouldn’t move forward without checking permits, community standards, or available plans and budgets. Far too often, web designers and digital agencies fall into the trap of taking a “one-size-fits-all” approach to promoting a company on the web. I know this because that philosophy often fails, which is usually what pushes clients to seek a new partner to start it all over again. How do we avoid rushing the discovery process? 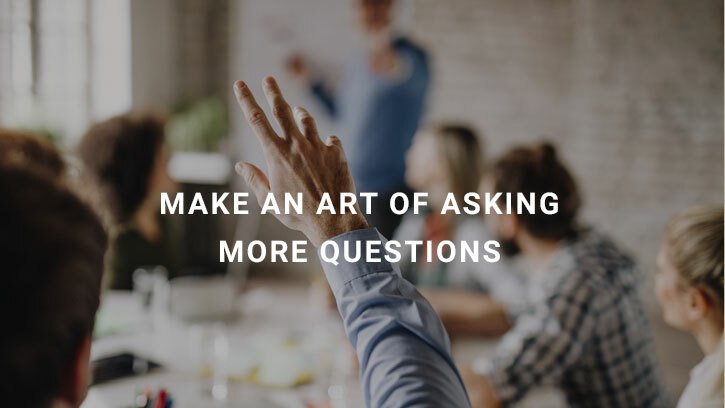 Write out a series of detailed questions in advance, but use them as starting points rather than a checklist. Block off an hour or two on your schedule so you won’t feel rushed to go to another appointment. During this time, turn off your phone and email notifications, too. Imagine that you are going to write a graded report after your meeting. This will force you to think critically about details, ask additional questions, and take more detailed notes. Make a conscious effort to consider whether there might be other mitigating details or circumstances you should be aware of. Get in the habit of asking too many questions instead of too few. It’s easy to get into the habit of selling (and accepting) pre-packaged solutions to online marketing problems. After all, it’s simpler to sign up for something, write a check, and hope for the best. But, if we really want to succeed in today’s digital world, we have to think like geniuses. That means adopting a truly creative approach to problem-solving that is tailored to each client and situation.